The processing functions include the ability to add or subtract a time offset between the time code in and the time code out values, change the user bits value, change the FPS frame rate between the input and output time code, detect and log various time code errors, such as out of sequence times, incorrect time value, etc. 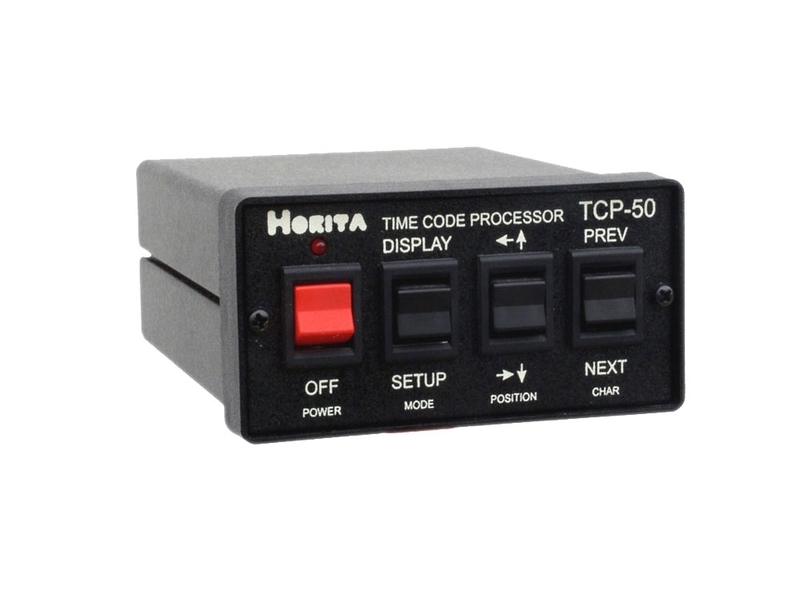 The TCP-50 operates using NTSC or PAL analog composite video to display it's setup screens and other information, as well as to provide a video genlock reference for the time code output. Translates between 23.976, 24, 25, 29.97 drop/non-drop frame, and 30 FPS (Frames-Per-Second) frame rates. For example, SMPTE time code input at 29.97 FPS, EBU time code output at 25-FPS. Substitute/replace input time code user bit data with manually entered user bit data on a "nibble-by-nibble" basis. Introduce any amount of positive or negative time offset, from one frame to hours, between the input time code and output time code. "Repair" bad time code due to noise, dropouts, damaged/missing bits, etc. Bad LTC in, good LTC out. Read and display time code and user bits. 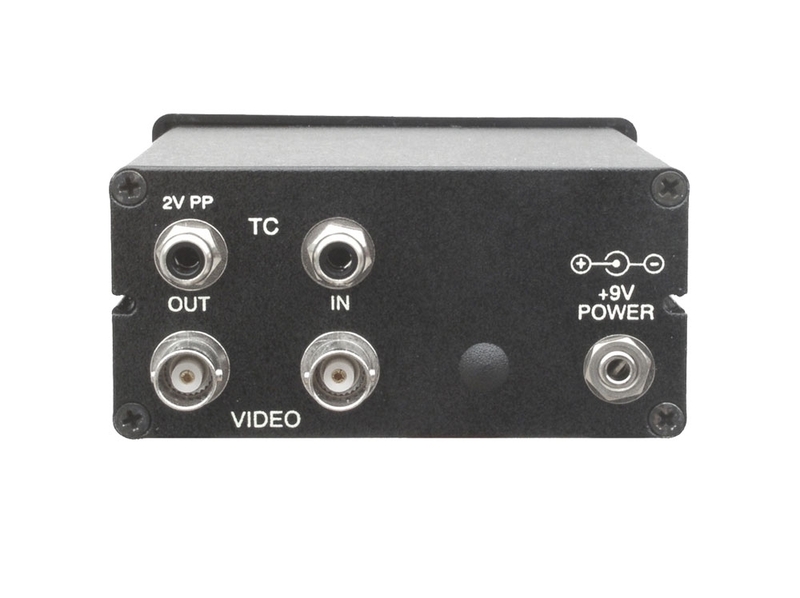 Time code analyzer measures and keeps track of six common time code errors and also displays phase relationship between input video and time code. Multiple "on-screen" menus provide quick and easy user setup of TCP-50 operation. Add up to nine lines of twenty characters each of source ID information to the on-screen time code/user bit display. 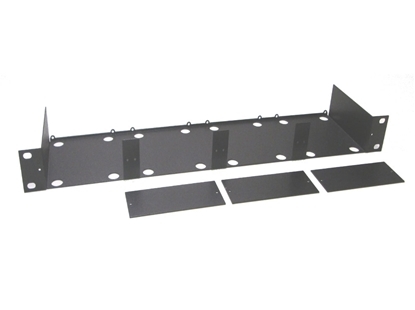 Rugged aluminum desktop enclosure measures enclosure 1.9"high, 5.3"long, 3.8"wide.